Free-to-play games that require either a load of money or a ridiculous number of hours to unlock everything are not a new phenomenon - it’s pretty much an accepted element of free titles. But putting microtransactions into a full price game like For Honor hasn’t gone down well with gamers, especially after one redditor figured out how much it would cost to see everything the multiplayer-focused title has to offer. 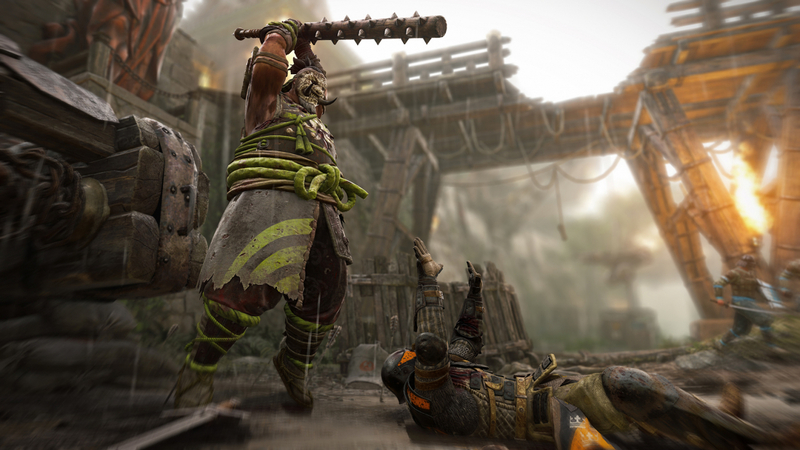 Bystander007 calculated that unlocking all the outfits, executions, effects, emotes, and ornaments for each character in For Honor costs 91,500 Steel, the in-game currency. With 12 characters available, unlocking everything would cost just under 1.1 million Steel, which would require around 7.32 of the $100 Steel packs. “So Ubisoft has valued their in-game unlocks within the base game at a $732 over-charge of the original $60-100 spent on the game,” writes Bystander007. As with many titles that include purchasable in-game currency, gamers can also earn Steel by grinding. In most games it usually takes a long time, and For Honor is no exception. If you want to unlock everything without opening your (virtual) wallet, get ready for a long haul. Casual players who play 1-2 hours 5-7 days a week will never reach this goal [1.1 million Steel]. Completing Orders/half-Contracts will get you roughly 1000 Steel, another roughly 200 for the matches you played. So 1200 a day is a good estimated gain for casual players. That’s 915 days. Roughly 2.51 years. Even if you were somehow able to play the game for 16 hours every day, it would take around 11 months to earn 1.1 million Steel. As noted by Ars Technica, For Honor isn't the first full price game to go down this route; getting every cosmetic item in Overwatch costs around $600, and the best set of “ultimate team” cards in FIFA 17 costs about $630. As companies look at ways of squeezing even more money from the games they put out, expect an ever-increasing number of paid-for titles to include microtransactions. This is their plan to make money with faltering unit sales. Don't sell the game, sell the stuff in it. People should research the game before purchase, if you do not agree with the rules of play, you have the freedom to NOT buy it. ^the above applies to ANY product or service. You are not "entitled" to anything. Reehahs, ScubaRhys, MonkeyBoyX8000 and 2 others like this. You've missed the point by miles. It seems to be a common trend with online games these days. Another thing to consider is what is estimated life span of the game? I am assuming that Ubisoft used this as part of their calculations as to how much steel you earn from just playing. Other thoughts are: someone has to pay to keep the servers up and running and fixing bugs cost the company money. But I do agree that it is annoying that it would take that long to unlock everything for a game I have already paid for. Let me reword in layman's terms: "Don't like it? Don't buy it." You do have the game. The extras are just that... extras. Round of golf? base price. Want a cart? Extra. Want clubs? Extra. Want beer? Extra. Burger at burger joint? base price. Want bacon? Extra. Want fries? Extra. Want a shake? Extra. New computer? base price. Want more CPU? Extra. Want more ram? Extra. What more space? Extra. Staying at hotel? base price. Want a bigger room? Extra. Want room service? Extra. Want a better view? Extra. New car? base price. Want leather? Extra. Want bigger engine? Extra. Want better trim package? Extra. and games... new game? base price. Extras are just that.. extras. If anything, the game maker is being extremely nice letting you get these extras for free if you want simply by putting in more time. On and on and on. Virtually all business work on this model. ScubaRhys and Steve like this. Use laymen s terms and explain it too me. I don't get it as you point out. They aren't selling additional content. They artificially increased the difficult of unlocking base game content to incentivize players to spend 10x the MSRP of the game to access what they already own. It's like saying DOOM has all these unlockable weapons, but if you want to unlock the BFG you have to kill 100,000,000 imps on Nightmare difficulty without taking any damage...or pay Bethesda $10. Ubisoft has done this with For Honor across the entire roster of base game unlockables. It's a shameless cash grab and a thinly disguised scam. Reehahs, lumbeeman and stewi0001 like this. Let's see if I can give you an example to better understand my view and I would assume the view of the reddit author as well. This might be a crappy one: Say you buy a standard car. Oh you want to use the steering wheel that is already included in the car? That will cost extra. In other words, it's about paying extra for content that already exist in the game you just bought, unlike a DLC which is seperate from the main game to begin with. It can be argued against this view but I'm just trying to explain my view on it. Reehahs and Adhmuz like this. Shorter version: You pay $30,000 for a fully loaded Camry and the dealer disables all the options after signing unless you pay him $180,000 or drive the car for 100,000 miles, whichever comes first. ddferrari, lumbeeman and Adhmuz like this. It's also worth noting that "just don't buy it" is not a sufficient strategy to stop this trend at the AAA level. Structurally speaking, this model inherently compensates for soft sales. All else equal, development costs stay the same but each dollar lost via boycott is replaced by 2-3 dollars worth of microtransactions. lumbeeman and Adhmuz like this. Try telling that to the AMD guys every time a new product from Nvidia or Intel is released. Like I said, would you sign a contract without knowing the details? If you would, that is your fault for not doing your due diligence. Flawed argument. The steering wheel is a necessary part of the vehicle and is required. If you want it leather wrapped, that is going to cost extra. Or... they allow you to get things for free without paying. It is up to the person to know what they are buying. If you DON'T want to work for it and want it included in the original sale, you are going to have to pony up the cash. If you don't like it, they DO NOT have to give it to you. You still have the freedom to NOT buy the game. Example: World of Warcraft, when you buy it, do you expect to be max level? The idea is to WORK to get it. If you don't want to, you can pay to be max level. No one is forcing you to buy or play if you don't like it. Don't like it? Don't buy it. Reehahs, MonkeyBoyX8000 and Icysoul like this. Yea this type of thing drives me crazy. I picked up Mortal Kombat X during Christmas for $15, just the base version. They let you hover over and select the characters you can't play with a 'pay to unlock option'. Trick is, there is NO way to unlock these characters through the story, ladders or whatever else, you MUST pay for them. Needless to say I was a little..(eye twitches)... annoyed. Reehahs and MonkeyBoyX8000 like this. Cosmetic items should be in a different category than in-game usable items, they are extras, superfluous. As stated in the article, other games do the same thing, it's not new. And to me grinding to unlock usable items is kind of the fundamental objective of most games. Maybe the genius game marketers are using these microtransactions to distract gamers of the whole issue of DLC making games cost twice as much as they should. I totally get where you're coming from, but we're talking video games here. It's entertainment in what should be the simplest form. I understand the model has changed over the years with internet-connected gaming, but paying for borderline required content is becoming increasingly annoying to say the least. On the business end of the spectrum...it works. If a company can make $100+ per unit on a game at the expense of a few mildly annoyed consumers, why wouldn't they? You're still missing the point. They are selling people a product designed to bilk customers for stuff they already own. It has nothing to do with due dilligence and everything to do with business ethics and value. Your position, "just don't buy it," is pointless. Not only does their model compensate for this, the non-objection normalizes the practice. Frankly, gamers want access to what they pay for without artificial barriers in place to take more of their money. A lot of us said "no" to DLC and made the exact same argument you're making. Now every game on the planet gets chopped up into DLC bits. Well, lesson learned. Publishers need to be called out on their schemes. And that means actually saying something instead of bending over and taking it, which is all you're advocating for. Weak. ddferrari, Reehahs, gusticles41 and 1 other person like this. But the situation gets more complicated for people who pre-ordered the game. While I'm against pre-ordering anything, I can understand if someone did only to find out you need to pay another good chunk of money to stay competitive online. I'd want a refund if it were me! Interesting, if you know of any articles related to how it works, I wouldn't mind checking it out.